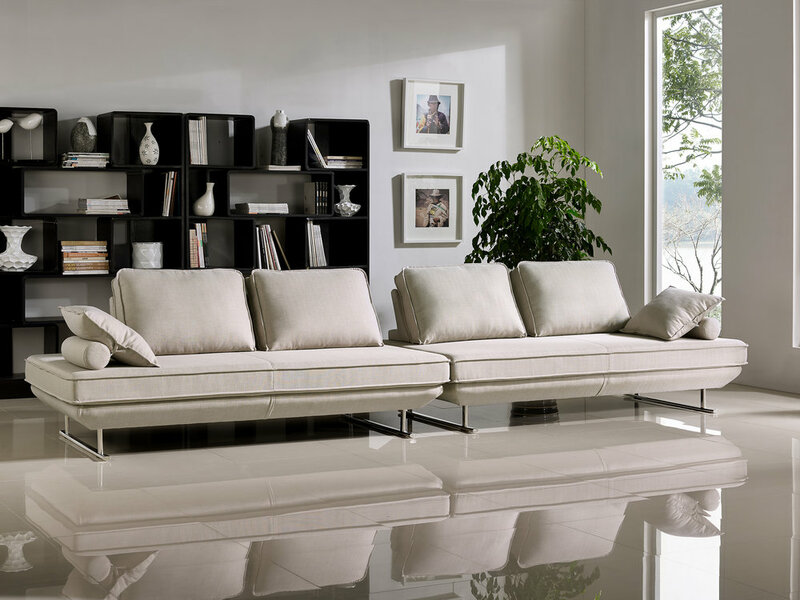 DOLCE was created to embrace the flexibility of a modular system in a lounger that can be configured as a traditional sectional, sofa, or even a daybed. One piece, two, or more, the choices are yours. Each lounger incorporates two independent removable non-skid backs that can be arranged in any set-up, depth, and angle. Additionally, a square and round bolster pillow (detachable) acts as an arm, headrest and more. Culminating to create a system that is completely fresh, stylish, and simply an indispensible part of your contemporary home and design. It's easy to create a DOLCE design that's uniquely you.